Get ready to be wowed as Britain’s Ocean City hosts a winter wonderland of immersive experiences for the whole family this Christmas. The magical festivities and events include an exciting new family trail in the city centre. 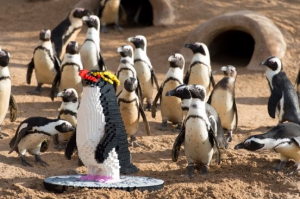 Penguins: A LEGO brick trail will arrive in the city on 3 December for one month. Nineteen Rockhopper penguins and one Emperor penguin will be making their way to Plymouth for the Christmas period with the life size LEGO brick penguin sculptures taking residence across the city centre.